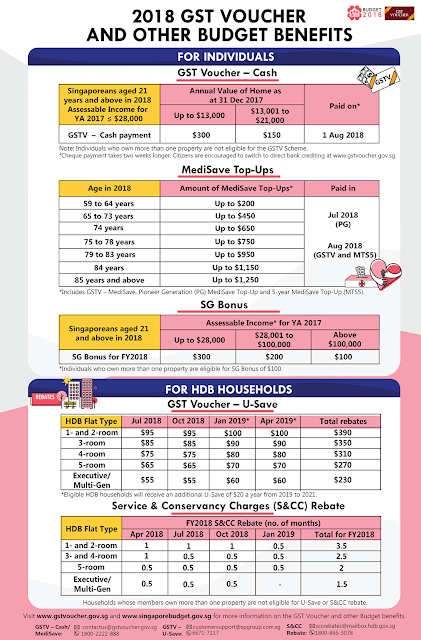 • About 1.39 million Singaporeans will receive up to $300 in GSTV-Cash in August. 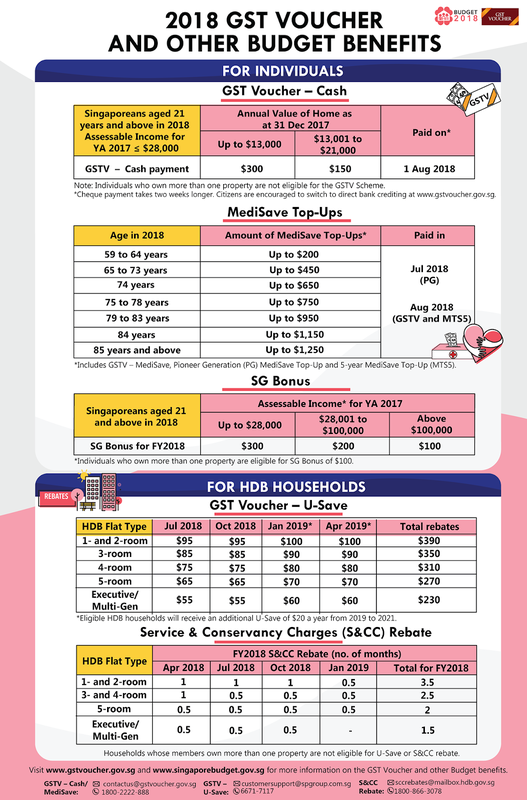 • About 485,000 Singaporeans aged 65 years and above in 2018 will receive up to $450 in GSTV-MediSave. 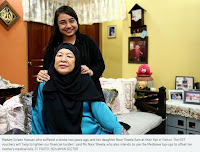 • In addition, about 520,000 Singaporeans born on or before Dec 31, 1959 (59 years and above in 2018) and who do not receive Pioneer Generation benefits will receive a MediSave top-up of up to $200. 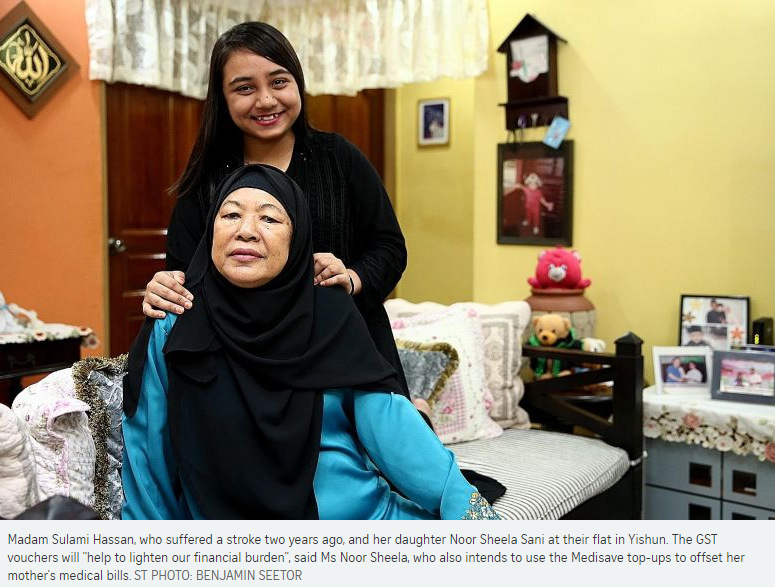 • Singaporeans aged 21 and above in 2018 can receive an SG Bonus of up to $300 at the end of the year. 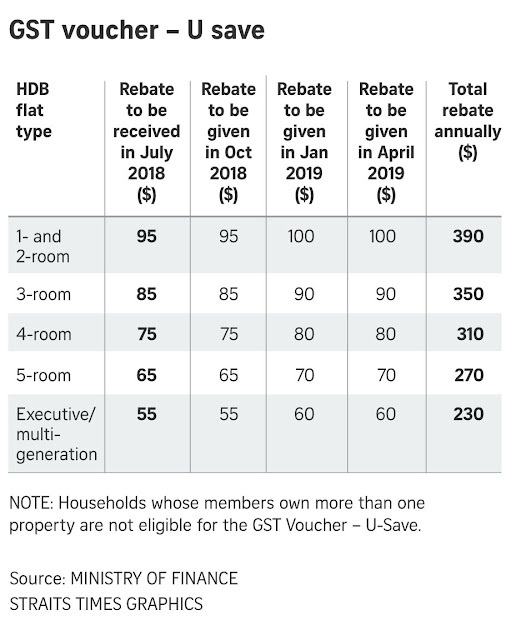 • 900,000 eligible HDB households will receive an additional U-save of $20 a year from 2019 to 2021, which will help to offset utility bills. • Around 900,000 eligible Singaporean HDB households will receive 1.5 to 3.5 months of S&CC rebate until January next year, depending on their Housing Board flat type.